The most significant movie of the decade is “The Hunger Games.” At the time of this writing, it’s about to surpass $400MM worldwide with its third weekend approaching. The film takes place in the powerful world of Panem, which forces children to kill children for its entertainment. The parallel to the Roman Empire and its gladiators was purposeful. And, the parallel to the United States and its reality television shows was also purposeful. In all three worlds people have gotten to the point where they take pleasure in watching people being humiliated, brought to tears, or suffering physically. This voyeuristic thrill came upon the Roman Empire when the wealthy came into power and the common people became apathetic. Once apathy reigned in the United States and the wealthy were in control of society, reality television dominated the people’s pass time. In Panem, the same is true, giving rise to their hunger games. The film’s messages go beyond the political statements and into the area of moral character. 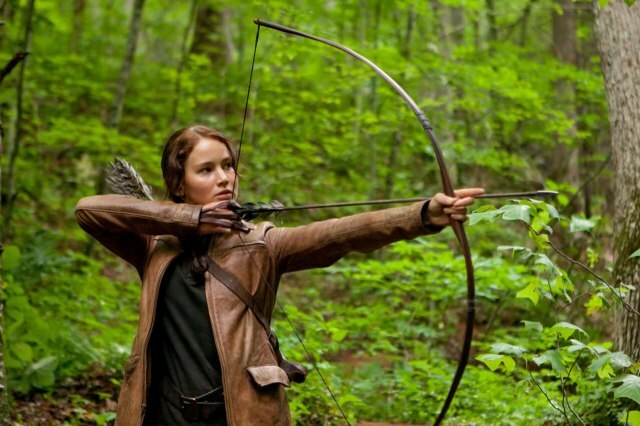 Katniss Everdeen (Jennifer Lawrence) is a teenager who cares for her family and always makes appropriate decisions. She even refuses to kill any of her peers except in self-defense. When under the pressure of survival, she’ll put her toes over the line by setting up circumstances that cause others to die, but never chooses to kill directly. The semblance of respect that the character gains through these “noble” acts provides viewers plenty of ammunition to develop likeminded morals. Unfortunately, the film also teaches that lying is a prudent survival skill and appropriate when circumstances dictate. Now is the time to prepare the way. It’s time to sprinkle our salt into the lives of those around us that they might thirst for the only one who can quench them. Today, let’s both do something that shines the light into the darkness around us.